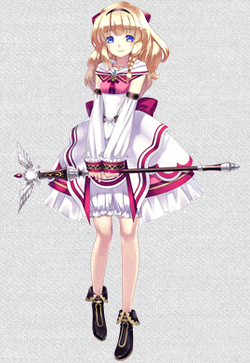 Sieghart is a young commander in service to the armies of light. He is very serious and focused, and has a reputation of being an incredibly hard worker who tends to be stubborn and obstinate. Although sometimes hard to get along with, he is respected by all of the men under his command. In spite of his youth, he is considered a gifted commander by his fellow officers and appears to have a bright future ahead of him. While visiting a village near the Scarred Mountains, Sieghart is seriously injured while saving a young girl from a servant of darkness. The girl, named Mimel, manages to save his life, but at the cost of transferring almost all of her powers to him. Mimel is a mysterious young woman who was saved from being banished to the darkness of Findeste by members of the forces of light, who recognized Mimel's overwhelming magical powers and her ability to wield the Power of Liberation. In order to save Sieghart, she pushed her magical abilities to a dangerous extreme and almost died as a result. Unfortunately, while bringing him back from the brink of death, she mistakenly transferred her Power of Liberation to him, altering the course of history as well as their individual fates. Now tied to Sieghart, Mimel decides to accompany him in hopes of retrieving her powers and completing her appointed task. A high elf who is accompanying Sieghart on his travels at the suggestion of her father Eleazal, the commander-in-chief of the forces of light. She was originally forbidden to go to the far north of the continent due to the war, but declared to her father, "I want to do whatever I am able" and joined the war effort on her own. After much consideration, her father had her work behind the front lines as a healer. For many of the injured soldiers, Alice's gentle smile was enough to make them forget about their grievous wounds. She knows Sieghart, but by reputation only, having traveled with his forces on a previous campaign. 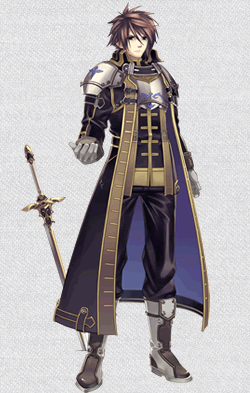 A heroine from the first generation, Friedelinde is a lieutenant under the direct command of Sieghart and also his de facto second-in- command. 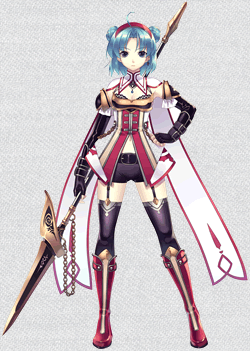 Friedelinde, or Linda as her friends call her, has very strong feelings for Sieghart and tries to express them in her own unique way, but his inability to recognize even the most basic of emotions both frustrates and depresses her. Already painfully shy, it doesn't help her cause that his mere presence makes her completely tongue-tied and panicky. She felt it was necessary to hide her overwhelming feelings for him, believing that such demonstrations of passion would be unbecoming for an officer. 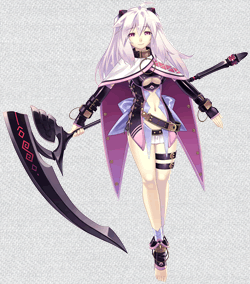 However, her struggle is painfully obvious to everyone except her and Sieghart. A heroine of the first generation, Routier is a young girl traveling through the land with a young onerthes man who she considers her brother. Having been constantly on the move, she never had the chance to make any friends and, as a result, is almost pathologically shy. Whenever she finds herself in an unfamiliar situation or in the company of strangers, her first reaction is to hide behind her brother. 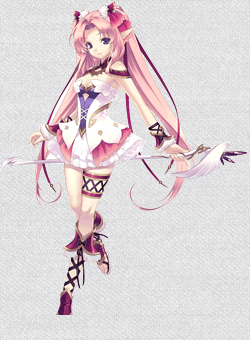 Routier inherited the power to see into the future from her mother, who was rumored to be a fortune teller of great skill. In fact, it was Routier who first foresaw the appearance of Sieghart. 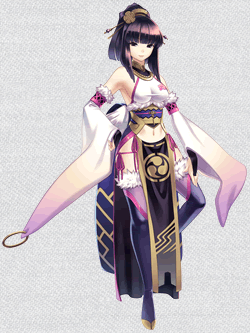 One of the heroines in the first generation, Sayane is a half-harpuia woman who very rarely gets angry and is always the eternal optimist with a smile on her face. However, she can be incredibly stubborn and obstinate. Although harpuia are known for their stellar sense of direction, that is one aspect of her heritage that she sadly did not inherit, as such advanced concepts as "left" and "right" genuinely confuse her. It was while she was lost that she first encountered Sieghart and his companions. Raised in a human village located in the Scarred Mountains, Sayane's martial arts skills have been honed as a result of the endless monster attacks on her home.